Larry Carl Pickford, our beloved Husband, Brother, Father and Grandfather returned to his Heavenly Father on Tuesday, April 9, 2019. Larry was born September 24, 1942 to Leo “Pete” and Donna Pickford. He married Madelyn Van Wagoner on April 11, 1968 in the Salt Lake City Temple. They lived in South Ogden for five years and then moved to their home in Roy, UT where he lived the rest of his life. Larry grew up in North Ogden, Utah, and was a graduate of Weber High School and Weber State University. He served a mission in Australia. He taught 4th through 6th graders at Burch Creek and North Park Elementary in the Weber School District for 33 years. He retired from teaching in 2000. He started and grew the Pickford’s Yard Care business to help their sons learn how to work and help others. He spent many countless hours helping neighbors with snow removal, cleaning storm gutters and sprinkler repairs. He was always one of the last to leave any ward function or activity so he could make sure all the floors were clean and the chairs and tables were put away correctly. Larry spent 8 years refereeing little league football at various parks throughout Weber County. 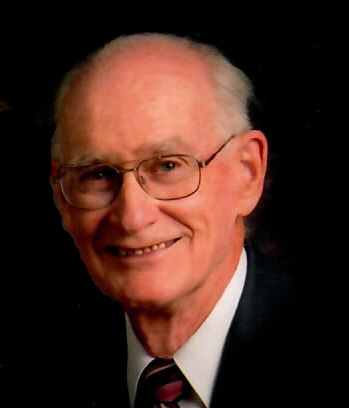 He was an active and faithful member of the Roy 12th Ward having served in the bishopric, High Priest group leadership, ward clerk, Stake High Councilor, and most recently in the Stake Sunday School Presidency. Larry was a lifelong Scouter earning numerous accolades and awards. He is survived by his wife, Madelyn; two sons, Todd (Jennifer) and Jared (Natalie); six wonderful grandsons: James and Thomas, twins Dega and Myles, and twins Axel and Chase. 2 sisters and one brother: Susan (Richard) Glaser, Julie (Kevin) Romph, and Greg (Sandy, deceased). Larry was preceded in death by his parents. Special thanks to the staff at McKay Dee Hospital. Funeral services will be held at 11 a.m. on Thursday, April 18, 2019 at the Roy 12th Ward, 4524 South 2525 West. The family will meet with friends Wednesday from 6 to 8 p.m. at Lindquist’s Roy Mortuary, 3333 West 5600 South and Thursday from 9:30 to 10:30 a.m. at the church. There's still time to send flowers to the Funeral Service at the Roy 12th Ward at 11:00 AM on April 18, 2019.